Scotland have won the Oman Quadrangular Series after defeating the hosts by seven wickets in Al Amarat. Mark Watt and Adrian Neill both took three wickets as Oman were bowled out for 111 inside the final over of their innings. Scotland comfortably reached their target of 112, with Richie Berrington hitting the winning boundary. 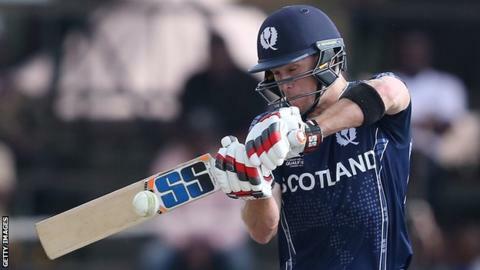 The result means Scotland win the Twenty20 tournament on net-run rate ahead of Ireland and the Netherlands. Neill was also awarded the Player of the Match accolade on his debut. Scotland will now face Oman in a series of 50-over matches over the course of the next week.